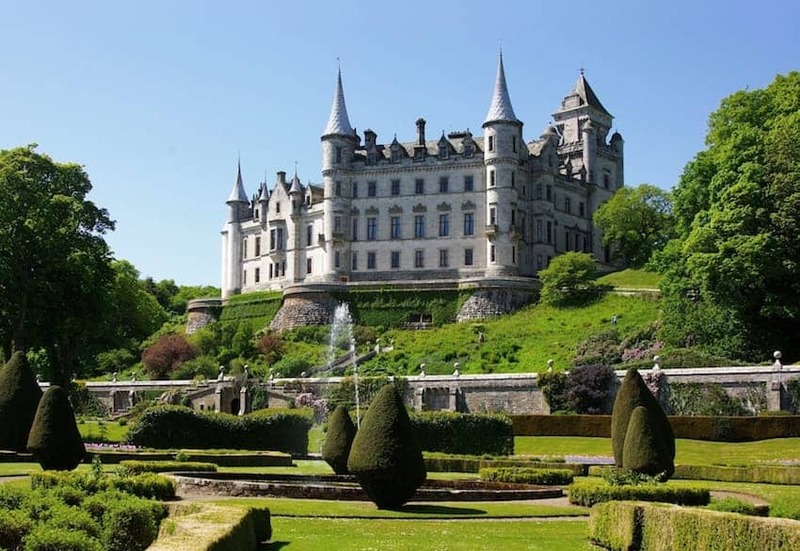 Dunrobin Castle is on the east coast of the Northern Highlands overlooking the Moray Firth. It is the largest of the great houses in the region with 189 rooms and is also one of Britain's oldest continuously inhabited houses dating back to the early 1300s when it was built. The Castle's conical spires design, resembling a French chateau, was influenced by Sir Charles Barry who designed London's Houses of Parliament. The Castle was used as a naval hospital during the First World War and as a boys' boarding school from 1965 to 1972 and is now restored for visitors.